IndiGo is always available and built directly into the bed, so only one thing changes in a caregiver’s day: the amount of work required to move the bed. 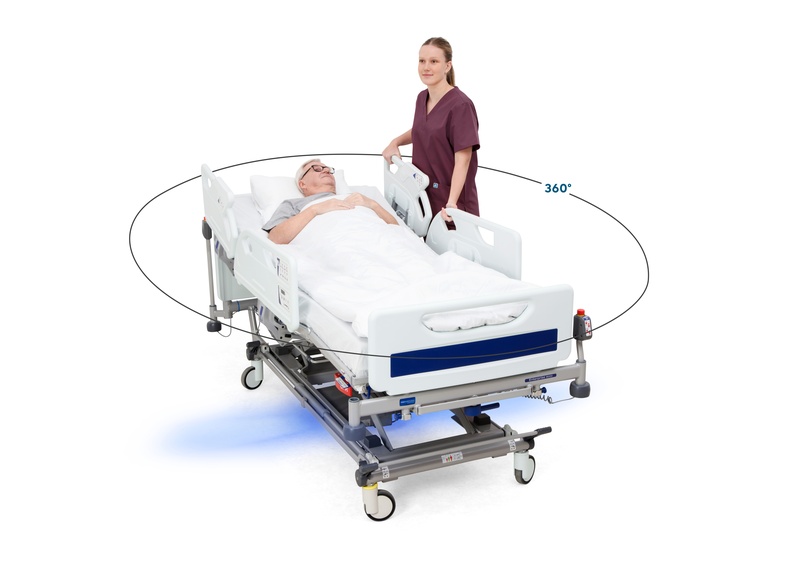 Unique 360-degree functionality means no additional controls – simply grad the bed and go. Also allows for sideways positioning and manoeuvrability in tight spaces. Intelligent assistance based on caregiver input – will increase or decrease assist as required. Helps avoid the controlling movement disadvantages that can be associated with traditional power drive systems. 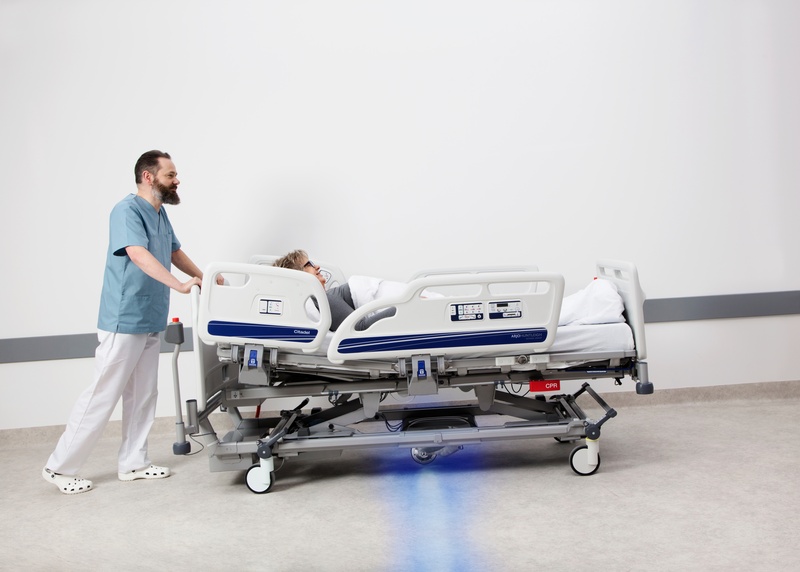 Automatic slope detection supports increased patient and caregiver safety with up to 60% work reduction required when going up slopes, and up to 70% when moving down slopes. Minimal training requirement supports integration into hospital workflow.